Defending champions Leinster were pushed all the way by provincial rivals Ulster on Saturday, with just a Ross Byrne penalty all that separated the two sides in the end. The men in blue were heavy favourites going into the game, but Ulster matched them from start to finish in a brutal European affair at the Aviva Stadium in Dublin. 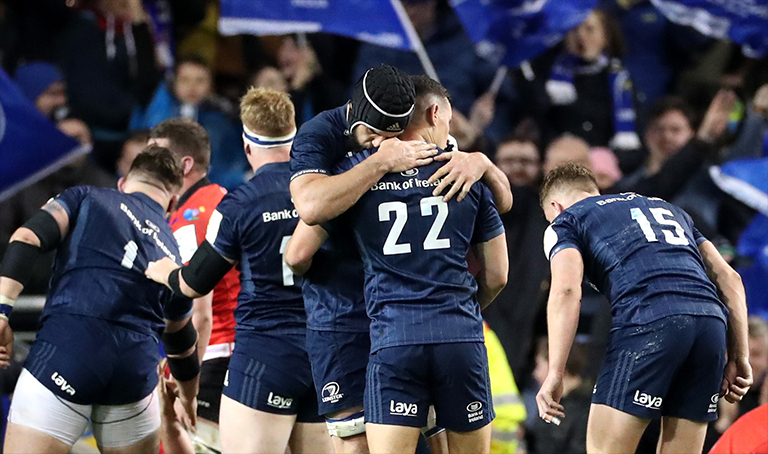 Leinster’s reward is another home semi-final in the Aviva for the second consecutive season against a Toulouse side that have already come up short in Dublin once this season in the pool stages. And if that’s not enough for Leinster fans – the Easter Sunday clash will be shown free-to-air on Virgin Media One. Happy days. Munster’s game against Saracens meanwhile will only be live on BT Sport.